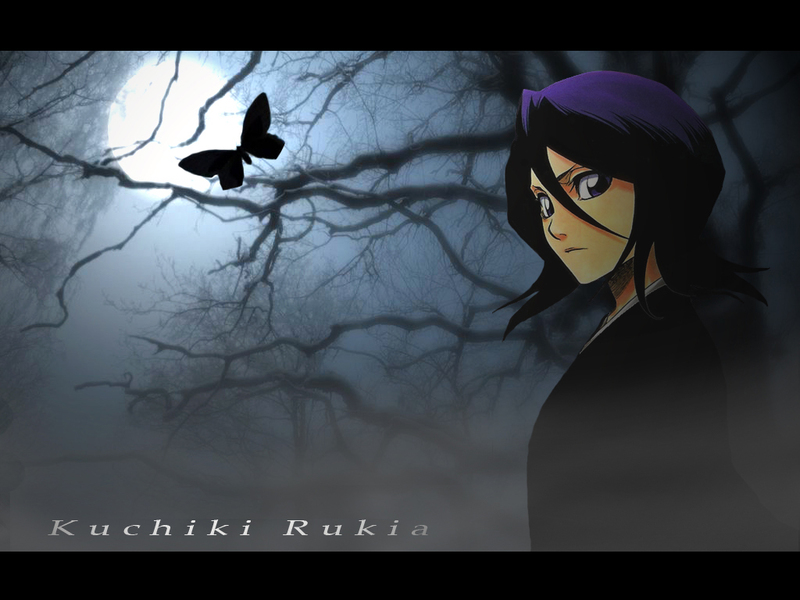 Well this is my first wallpaper dedicated to Bleach, specifically to Rukia. This is an idea I've had in my head for some time and finally I decided to make it. I really worked hard on it and the end result is really what I wanted :). I hope you all like it as well ! Cheers! I Love the background so much with that scan of Rukia. I love your creativity for this wallpaper. The butterfly is a very nice touch I like that. :) I love that scan of Rukia so much. I also like the fog on her thats very nice, and the over layout of it is very wonderful, Great Job on it. :D .
Great work! I love it. i loveeeeeeeeeeeeee it! background is absolutely wonderful! nice background.realy nice wallpaper for the first one. Nice work; I like the background with the trees and moon, however, the name is a bit blurry at the edges, though maybe that's the desired result? Additionally, what amyamy said sounds interesting-her name in kanji above the English translation would look pretty neat! All in all, this is a really inspiring work of art! Thank you for sharing, and take care! I like the background a lot. it looks dark & gloomy. :) nice wallie & good job on it! please keep up the great work. nice background.really nice wallpaper for the first one.